leave a comment below or email author@santacruztrains.com. At the northern end of Vasona Reservoir along today's University Avenue once sat the short-lived Parr's Spur Track. 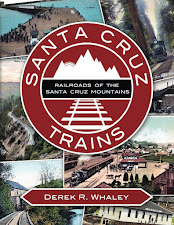 This stop first appeared in Southern Pacific Railroad agency books when it took over the South Pacific Coast Railway in 1887, suggesting it had probably existed since the beginning of the line in 1878, although no South Pacific Coast records indicate any stop there. Jonathan Parr was an early settler in the area, owning 3,000 acres of land on Rancho Rinconada de los Gatos since 1856, when he purchased it from Sebastian and José Hernandez Peralta. Parr was married to Eliza Jane Lowe and had migrated to the United States in 1942 from England. They spent some time in New York and Iowa, producing three children along the way, before heading to California. The family relocated in 1846 in a party that closely paralleled the Donner Party, although they took a separate route into the Central Valley of California. In California, three more children were born, resulting in six total children—three boys and three girls. Most of his land was used as a cattle pasture, since the prune orchards that the region became famous for did not enter the picture until the early 20th century with the advent of commercial canning. Eliza died in 1866 and Jonathan died the next year. The property was divided between the six children, who received roughly 500 acres each. Much of Los Gatos and Campbell are former parts of this massive property. 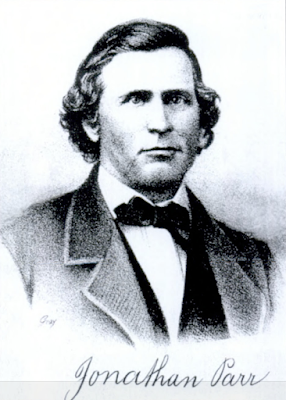 Sarah Ann Parr, the third child, was married to Harrison DeWitt Albright, an alcoholic and womanizer. The two of them had four children, three of whom survived to adulthood. It was on a portion of her parcel that a railroad stop was erected around 1888 called Parr's Spur. This flag-stop was probably set up much earlier under the South Pacific Coast, but it never appeared in official records so only became official after the Southern Pacific Railroad took over the line in the summer of 1887. It did not survive long. By 1890, the stop was gone from agency books and nothing more was ever said of it. It probably served as a loading stop for cattle shipments, as well as a passenger stop for Sarah and her family. Sarah died in 1893 and it is unclear what happened to her family afterwards. Harrison died in 1905 in a cabin near a vegetable garden outside of Los Gatos, but it appears the Parr family property was already outside of his hands by then. 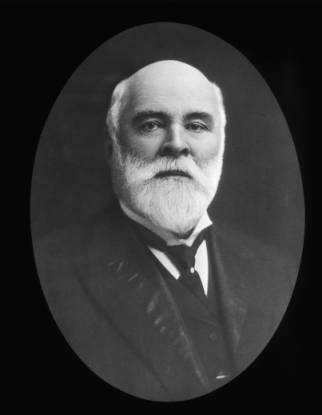 Portrait of Captain John Bermingham, Jr. In 1900, a new customer began using the spur. The California Powder Works, which had its primary facility at the mouth of the San Lorenzo Valley near Santa Cruz, erected a powder magazine on the site around that time. The Southern Pacific added the stop to its station books in 1901 and by 1907 it was appearing as a formal station in employee timetables. The new stop was named "Bermingham", after the president of the company Captain John Bermingham Jr. Since the mountain section of track had opened in 1880, the California Powder Works had used the railroad exclusively for the shipment of its powder, but some of that powder was used at the New Almaden mines for blasting, which probably explains the need for a powder magazine here, less than thirteen miles from said mines and quite close to the Campbell switch to New Almaden. The warehouse was not well-prepared for the 1906 San Francisco Earthquake, though. During the temblor, the magazine exploded, destroying the entire facility and probably most of the area around it. Wisely, the California Powder Works decided against rebuilding there and the station was abandoned by mid-1909, at the time when the mountain route was reopened to through trains and the stops along the line were reassessed and measured. For fifteen years, the old Bermingham stop remained vacant until a new flag-stop appeared at or near the location on November 11, 1924 named Bulwer. Extremely little is known about Bulwer, including the origin of the name. It seems mostly likely that the stop as named after British writer Edward George Earle Bulwer-Lytton, 1st Baron Lytton, who popularized the phrase "it was a dark and stormy night..." and was undergoing a revival in cinema and theatre in the early 1920s. The presence of a spur at the stop and the fact that no regular stops were scheduled there suggests that Bulwer served as a freight stop for an otherwise unrecorded local company, likely the adjacent prune orchard-owner. 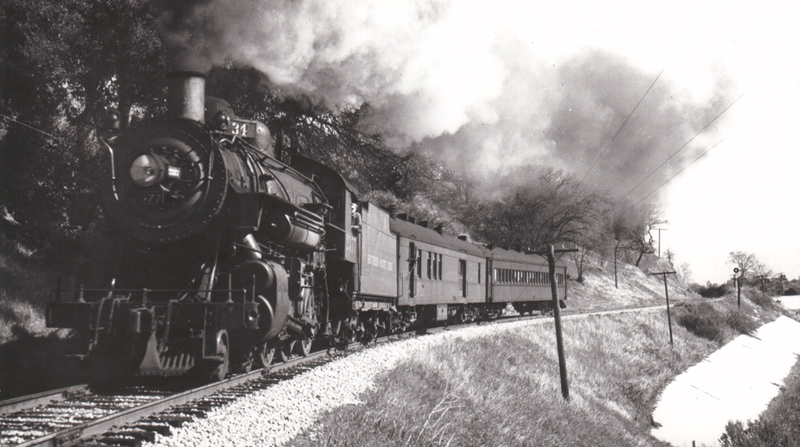 In any case, the station was abandoned by Southern Pacific on August 1, 1938. The tracks through Bulwer remained in place until 1959, when the Los Gatos Branch was definitively abandoned and demolished by the railroad. Parr's Spur first appeared in Southern Pacific agency books in 1888, but the spur was removed in 1890. It was located approximately 53 miles from San Francisco via Alameda Point. It never appeared on employee timetables and no other information is known about the stop at this time. Bermingham, meanwhile, first appeared in the January 1901 agency book. The next year, it was listed as a B-class station, implying a spur or siding and a freight platform. It was also in a section of track that was dual-gauged. The station was added to an employee timetable as "Bermingham (Spur)" in June 1907, listed as 53.0 miles from San Francisco via Alameda Point and 27.1 miles from Santa Cruz. The length of the spur at the station was 677 feet. No other facilities were listed there and the station did not receive any regularly-scheduled freight or passenger traffic, implying it was for private use only. In 1909, the distance from San Francisco was altered to match the new Los Altos Branch and was now only 52.1 miles from San Francisco, this time via Mayfield. The spur was also lengthened to 827 feet. The station disappeared from timetables in 1909 and from station books in January 1910. Bulwer first appeared on the November 1, 1924 employee timetable at 52.2 miles from San Francisco via Mayfield and 27.0 miles from Santa Cruz. It had no scheduled passenger service. Notes on the employee timetable for April 17, 1938 state that Bulwer was abandoned August 1 of that year. Assuming all three stops were situated at the same site, they were located approximately at the modern-day location of the Vasona Reservoir dam or there around. The most likely locations for the stops would be the modern-day site of Forecepoint and GeneWEAVE on the west side of University Avenue, which is the former right-of-way. Bender, Henry E., Jr. "SP San Jose to Santa Cruz (ex-South Pacific Coast Ry.)." 2013. Conaway, Peggy. Images of America: Los Gatos Generations. Arcadia Publishing, 2007. "Parrs of Los Gatos: Bringing the family's history together". San Jose Mercury News, 2006. Santa Cruz Evening Sentinel, 1905. Southern Pacific Railroad documents, California State Railroad Museum Archives. Whaley, Derek. 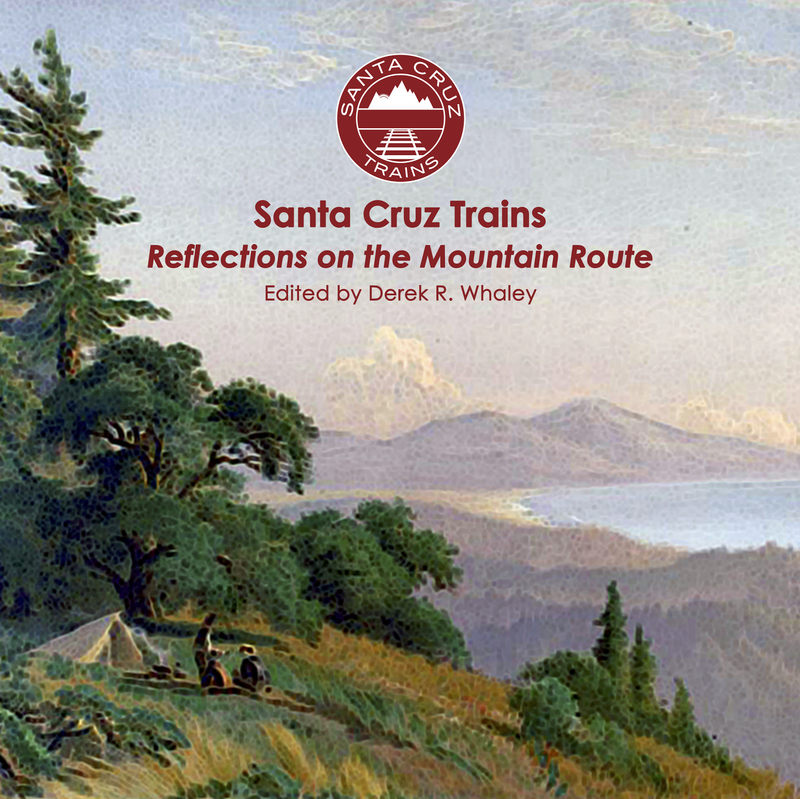 Santa Cruz Trains: Railroads of the Santa Cruz Mountains. Self-published, 2015. Cruz. You will find the San Jose- Vasona Jct. segment of ABS listed separately on page 14.